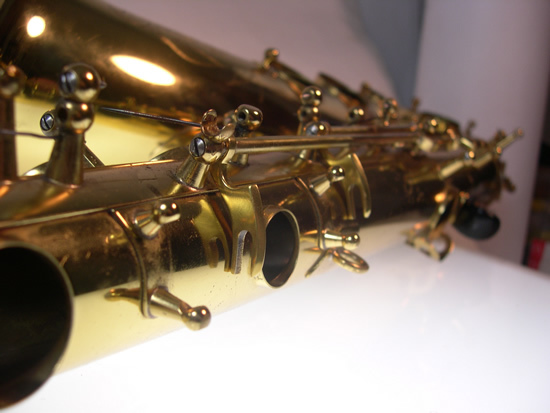 The ball joints for the Side Bb and Side C are endlessly problematic for owners of some Selmer MKVI’s. The idea of having a tight fitting steel part inside a soft brass key is not a good one. 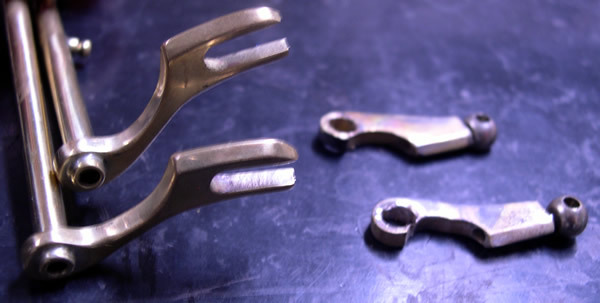 By removing the ball joints and adding forked arms on both levers, a solid, quiet, and friction-free connection is made. Here, the original ball joints have been removed and replaced with forked arms. Shown below are modified forked arms on the instrument.